Precision medical machining requires strict quality control, highly skilled programmers and operators, and rigorous attention to detail. Our team of expert precision machinists has decades of experience completing the most advanced, intricate and complex projects in the medical device industry. 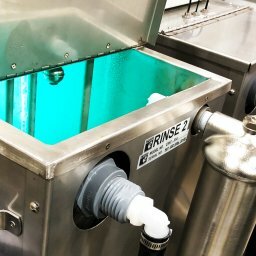 The medical breakthroughs of our generation have happened, in part, because of the sophisticated devices that precision medical machining makes possible. We manufacturer component parts that improve people’s quality of life, allowing them to live longer, healthier, and more productive lives. The days when someone can take their great-grandchildren skiing or wind-surfing are within reach for many because of medical technology. This is why our work matters so much to us. We are determined to excel and we do. The machining of medical parts has very stringent requirements. This is especially true when you are manufacturing tiny components and miniature parts, such as those used in minimally invasive surgery. There are many benefits that come from the miniaturization of medical machined components. For example, their use in minimally invasive surgery means smaller incisions, a reduced risk of infection, and a shorter hospital stay. 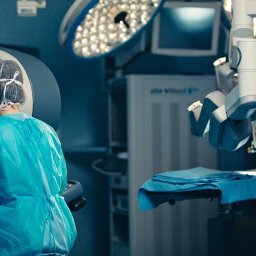 These benefits, combined with the demand for smaller robotic surgical systems, will continue to put pressure on manufacturers to produce tinier component parts. Any new or greatly improved part starts with a prototype. Prototyping is an essential step in the manufacture of medical devices. It helps you to vet new ideas, answer questions about product design, and test the boundaries of what’s possible. We believe it’s important to partner with clients in the early stages of product development to ensure that the specifications are correct. Our machining specialists are able to make the requirements perfectly exact without adding additional costs to your project. 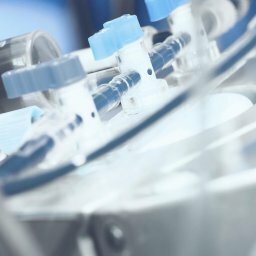 Our modern facility is ISO 13485:2016 certified for medical devices. We precisely machine small medical parts with intricate and complex shapes from a variety of materials such as stainless steel, aluminum, brass, steel, titanium, and nitronic. On our CNC multi axis Swiss Turning Centers, we can accommodate component diameters up to 32MM (1.259) while holding tight tolerances of ±0.0001″. Our state-of-the-art multi-axis milling machines with pallet fixturing and CNC control can precisely carry out processes such as drilling, milling, boring, contouring, and counter-boring. “The advantage of multi-axis machining equipment allows for more complex contour shapes, narrow precision slots, and thread forming of components that maintain tight tolerances and with extreme consistency.” We also specialize in applying detailed knurled textures and patterns to medical instruments. Our capabilities include prototype development, custom automated assembly line processes, and the ability to handle heavy production volume. We can complete all phases of manufacturing on site, including all fixturing and tooling. Swiss Precision Machining is happy to help configure and completely assemble each component of your project. We have the capability to develop a custom automated assembly line process to fit your needs specifically, saving you both time and money. We are looking forward to partnering with you on your next life-saving medical device project.